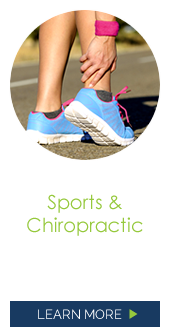 Johnston Chiropractors Drs. 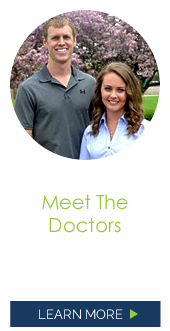 Megan and Eric Herrmann are dedicated to serving and caring for your family as a whole by ensuring that each member is at peak health. Dr. Megan and Dr. Eric take pride in being able to help any adult or child with the array of chiropractic techniques they offer at warm and inviting Herrmann Family Chiropractic. Dr. Megan has a special heart for working with expectant mothers and children. From babies and athletes to seniors, the whole family can benefit from the care that Dr. Eric and Dr. Megan provide. 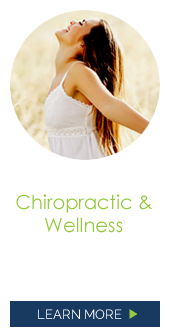 We envision a community that takes responsibility for their own health through chiropractic and healthy life choices. It is our goal to educate our community that health is more than the absence of pain or disease, but is finding and correcting the dysfunction at its source by analyzing the body as a whole. From infants to grandparents, chiropractic care is essential for removing interference and restoring life, energy, and wellness. We realize that it may be pain or discomfort that brings you through our doors at first, but the vision of our impact on the community is much more than relieving pain. Being healthy requires prevention with a proper functioning nervous system, and quality nutrition, exercise and sleep. Drs. Eric and Megan address all these factors with their care plans by providing adjustments, nutritional counseling and supports including Standard Process supplements and Foot Levelers orthotics. Recently opened in October 2014, Drs. 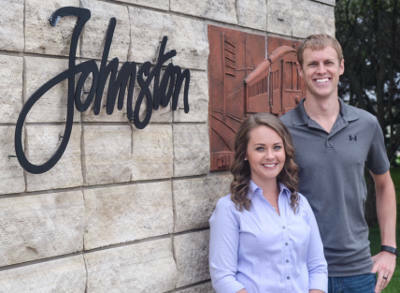 Eric and Megan chose the Johnston area for Herrmann Family Chiropractic because of its family-focused community. They felt they could not only provide care for the families of the area, but could one day raise their own family in Johnston. By investing in your family’s health and wellness today, you are ensuring a healthier future tomorrow! 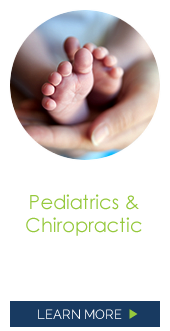 We encourage you to explore our website, get to know our chiropractors Johnston, and then give us a call to book your family’s first appointment. Had a great experience! Wish I would have started to come sooner! Dr Megan did a great job explaining what she was d And why she was doing it! Dr. Megan has always been really explanatory and very helpful! I love this practice. Very thorough explanation! Great visit with immediate results. These guys are great. They take their time and listen. I haven’t felt this good for a long time. Best chiropractic care I’ve ever received. Dr. Megan listened intently to my concerns and got me excited about how chiropractic care will help me! It was a child friendly environment where I could bring my kids without being stressed! Would recommend them to anyone! They take their time, and listen. Are really great at what they do. Dr. Megan even adjusted my newborn granddaughter and infant niece. She is wonderful with children. Dr. Eric has provided skillful care to many members of my family. Don’t hesitate to book an appointment, you will get quality chiropractic care. Dr. Eric and Dr. Megan are so calm and friendly. They also continue to think about you after you leave always trying to make sure your needs are being met. Doing research and checking on your insurance benefits making sure you’re getting the best care that is affordable. Dr. Eric analyzed my situation and had a plan of action on Day 1. I am making great progress with his guidance! Very professional staff. Latest equipment for diagnosis and treatment. Clean comfortable atmosphere. Would definitely recommend this practice to others. They are really knowledgeable and very caring. This power chiropractic couple is an amazing asset to the Johnston community! They are some of the most thoughtful, hardworking and competent docs in the profession. I wholeheartedly recommend these fine chiropractors for your family’s health care needs! I’m very happy with the care my daughter has received from Dr Megan! She’s fantastic with her and demonstrated on the Teddy Bear Popcorn and explained what she was going to do. I would highly recommend their practice! I really appreciate the very thorough initial exam I received. Dr Megan was very informative and attentive to my needs. Will and do recommend anyone to Megan and Eric! Both extremely professional and very courteous! Great equipment and they have helped me understand my problems and I have ultimately felt better! 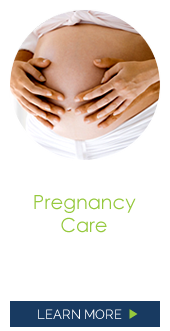 Recommend even pregnant women that have back or even hip problems! Such a kind, caring and skillful practice! Loved the attention and time Dr. Megan took with me. I have seen multiple other chiropractors and have never had that in-depth of a visit which I really appreciate.